When and where did you volunteer abroad? 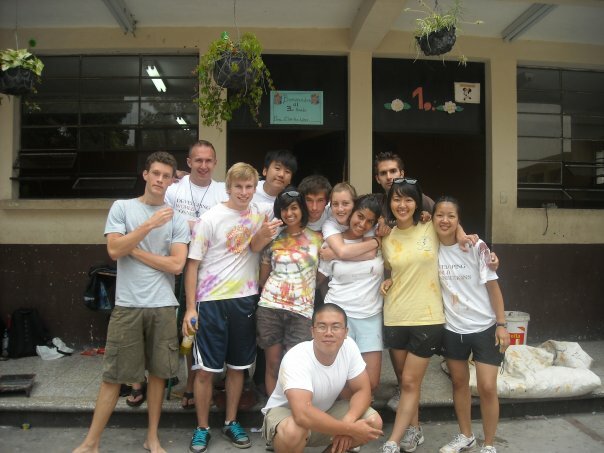 I volunteered abroad for a month in rural San Miguel Dueñas, Guatemala. Dueñas is an agricultural town with 4,000 school-aged children, only 50% of whom are able to attend school due to an inability to pay for bus fare or school supplies. Most of the families do not have access to running water or electricity. I have always had a passion for learning about new cultures and international development. This trip was an incredible opportunity to combine both of these interests. While in Guatemala I had the opportunity to learn about Guatemalan culture by exploring coastal towns and the Mayan ruins and I was also able to contribute to the area I was volunteering in by teaching English classes, painting a learning center and rebuilding a school. Did you participate in extra-curricular or social activities while volunteering abroad? From salsa dancing and cave diving to horseback riding and hiking, the opportunities to get to know my teammates and explore the beautiful landscapes of Guatemala were endless. The social activities in Guatemala required a lot of physical stamina compared to the activities I partake in at home, but they were fun and enjoyable and helped shape the amazing experience I had abroad. My number one tip would be to take time to get to know the people in the communities you’re working in. Some of my fondest memories from my trip to Guatemala include the times I spent speaking with locals, playing with their children and helping them prepare meals. The locals I met not only opened my eyes to a new way of life but also provided me with insight on my own strengths and passions. While in Guatemala, my Spanish-speaking skills really improved! Being immersed in a fully Spanish-speaking community offered many opportunities to hear how words are pronounced and also practice speaking them. Children and parents alike were keen to help me improve my Spanish and were very gracious in teaching me new words and expressions. What was the most important thing you learned while volunteering abroad? The most important thing I learned while volunteering abroad was the importance of making the most of each and every day and being open to new experiences. I’ve brought this insight back with me, and find myself seeking adventure and meaningful experiences constantly! I'm planning to pursue a career in accounting and am hoping to continue to travel to build upon my business skills and interests in corporate social responsibility, microfinance and diplomacy. 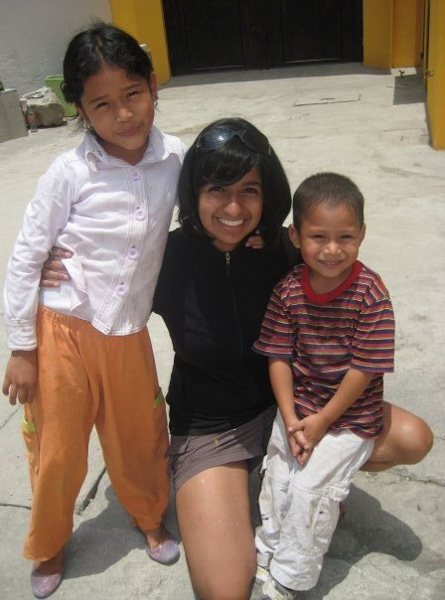 Salina has a passion for international development and helping others. It sounds as though she made a great effort to take advantage of every opportunity to engage with her host culture, build her Spanish language skills and participate in local activities while she was abroad. We’d recommend that Salina either pursue opportunities that will allow her to build her Spanish fluency (such as taking an internship in a major metropolitan center in Spain or South America), or that she apply to work with a microfinance-oriented NGO in a developing nation. She might even opt to build towards a career working with the UN. Reading the articles and searching through the Resource Lists in NGOs & International Development will give you an excellent introduction to the world of NGOs and their work abroad. Also check out the International Internship Opportunities Resource List to search for programs and opportunities in your field of interest. Understanding IGOs will give you a solid introduction to the work of IGOs and the UN.